1. Vatika Lifestyle Homes Floor Plan 3 BHK – 1735 Sq. Ft.
2. 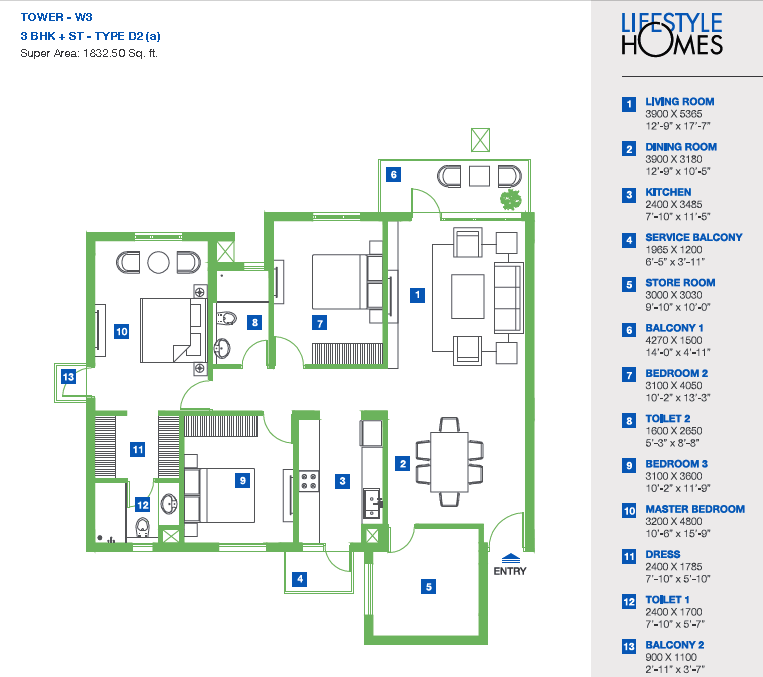 Vatika Lifestyle Homes Floor Plan 3 BHK – 1750 Sq. Ft.
3. 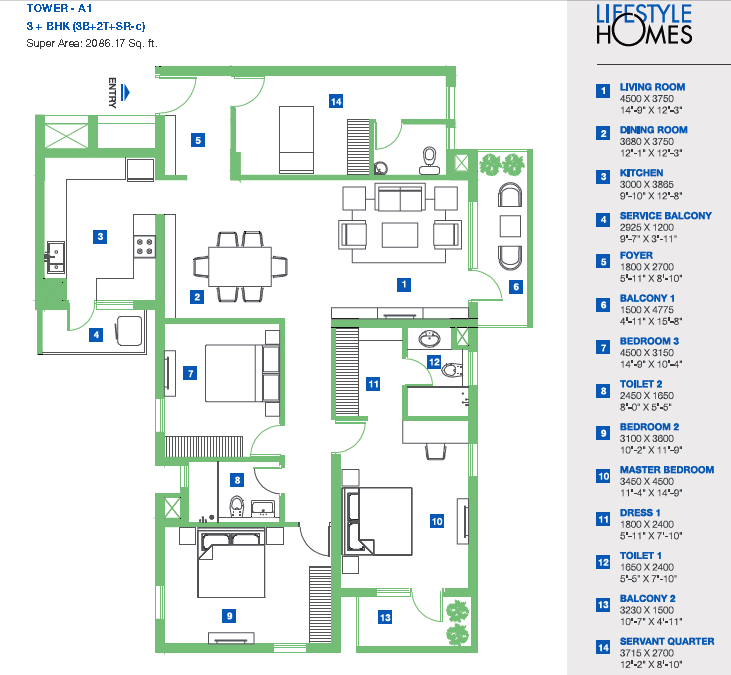 Vatika Lifestyle Homes Floor Plan 3 BHK – 1802 Sq. Ft.
3 BHK 1802 Sq. Ft.
4. 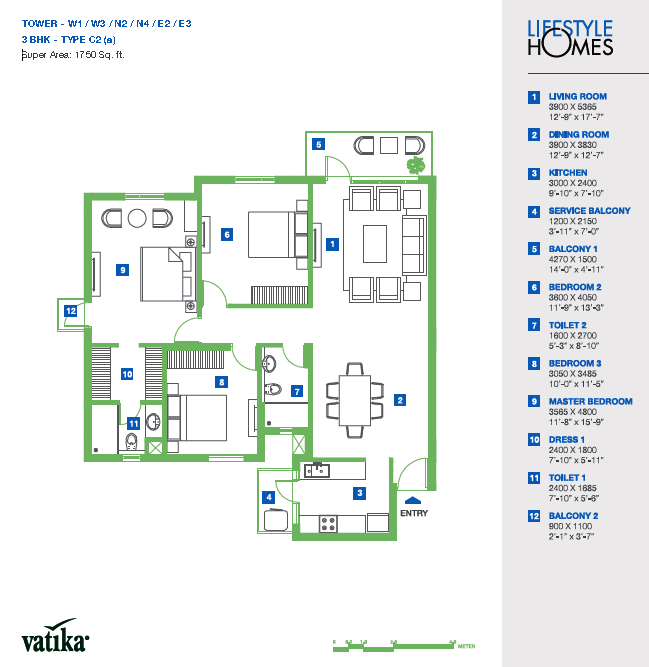 Vatika Lifestyle Homes Floor Plan 3 BHK + Store – 1827 Sq. Ft.
5. 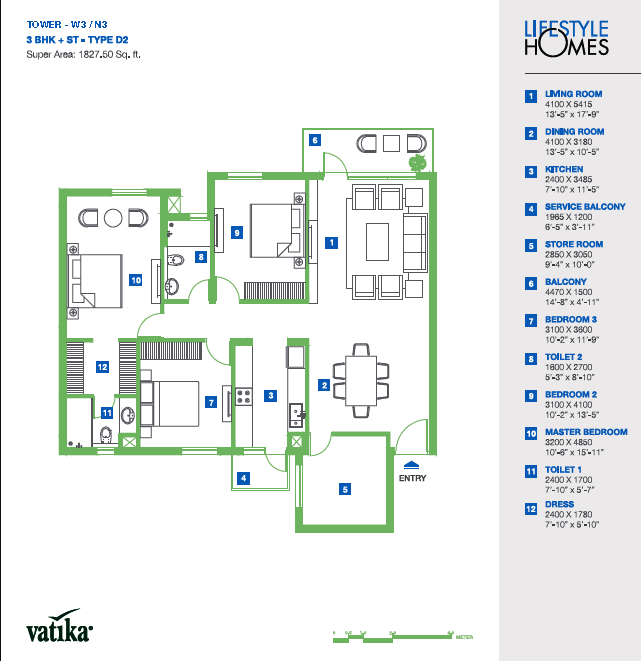 Vatika Lifestyle Homes Floor Plan 3 BHK + S.R – 1832 Sq. Ft.
6. 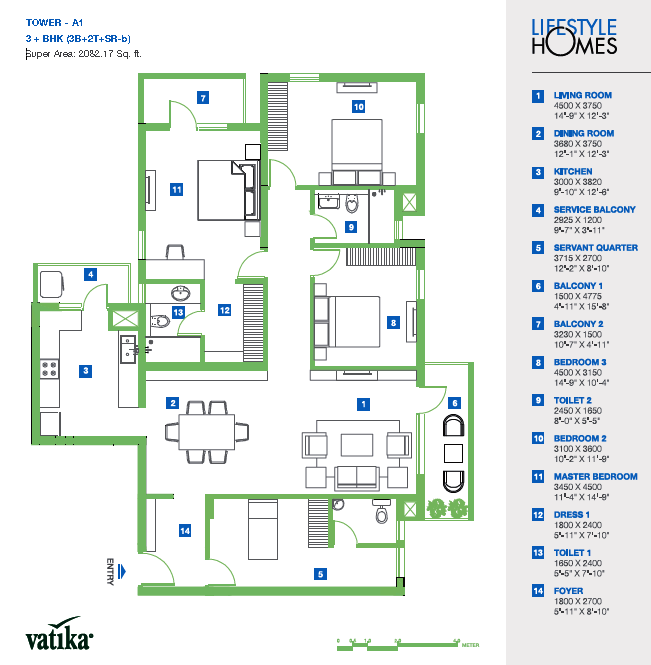 Vatika Lifestyle Homes Floor Plan 3 BHK + S.R – 2082 Sq. Ft.
7. 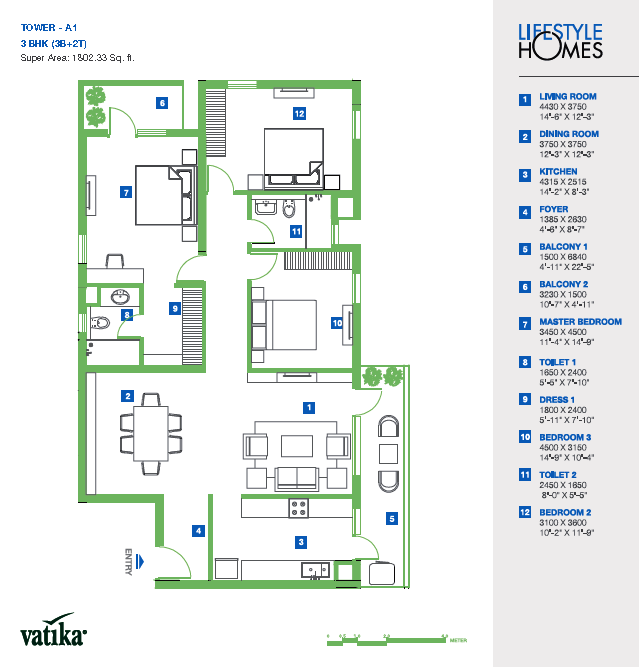 Vatika Lifestyle Homes Floor Plan 3 BHK + S.R – 2086 Sq. Ft. Very informative blog brief about the floor plan of the entire Vatika Express City Township. It clearly indicates the floor plan of Vatika City Homes a residential unit within the township. 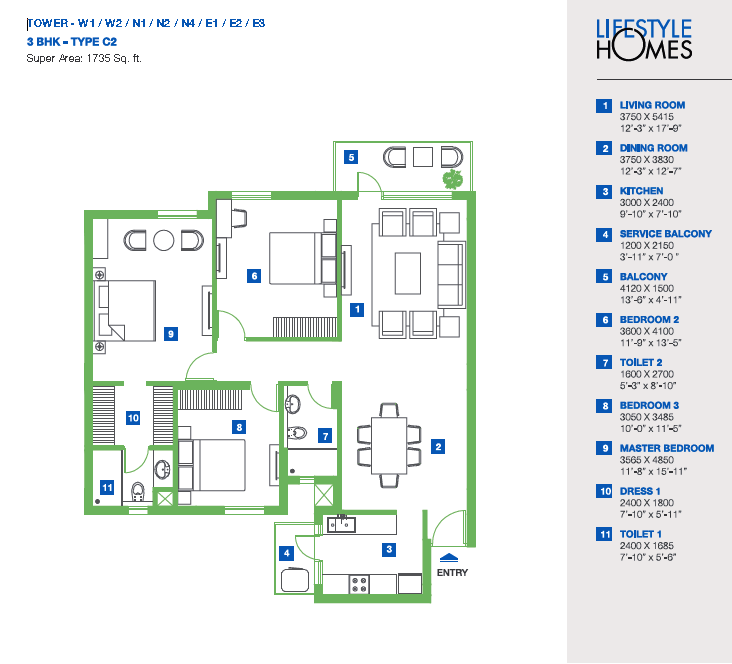 The floor plan looks stunningly spacious and well planned layout for buyers looking for out of the box residents. Vatika India Next is developed by Vatika group, who have set up a bench mark in the real estate market. Their recent featured project is available with flats for sale which is located in Gurgaon and at the best of the location which is right in the heart of the project. Commercial spaces are more in demand due to people opting to switch to their own businesses and since people have been getting investments they do look out for Commercial Spaces for rent and Vatika India next have been offering some of them you should surely check them out as they are bench marked by Vatika itself.